Today I visited Jo at her Newtown property and was introduced to Tommy from Coastline Bathrooms, Jo’s project manager. I also met Jack, Jo’s four year old son, who also introduced me to Buzz Lightyear, Woody and a couple other of his favourite Toy Story characters; they were all very hospitable. Jo and her husband moved into this untouched home from Melbourne in March 2013 wanting the challenge of extending and renovating. Today we are here to see their completed bathroom. The bathroom has a contemporary chic feel with large black hanging pendant lights from which Jo loves and says great lighting is a necessity for any woman in the bathroom, and the wall tiles are laid in a 90 degree herringbone pattern – LOVE! Jo chose a wall mounted vanity as she couldn’t find one her heart was set on, so opted for this style and incorporated some wall shelving for storage. 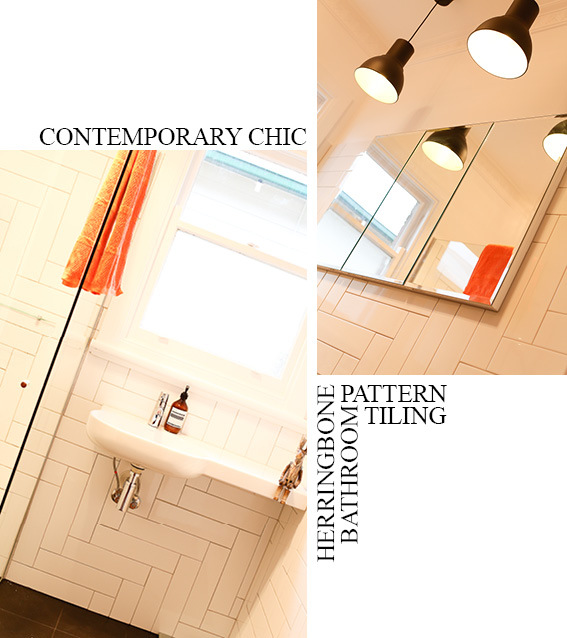 Originally Jo was interested in timber tiling for her bathroom floor, but decided it may be too busy with the herringbone wall feature and existing house timber floorboards and chose a dark contrasting tile instead complimenting her pendant lighting. 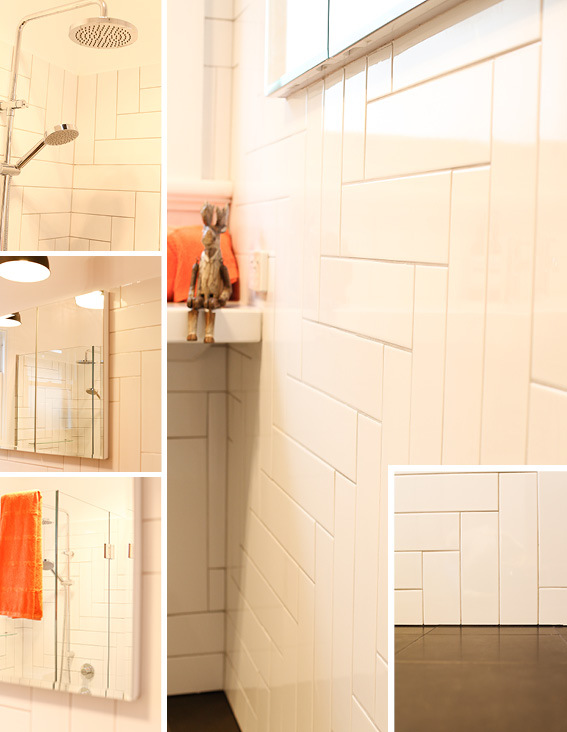 The walls are a white 300 x 100 tile laid in a herringbone pattern. Jo decided on a 90 degree angle which ties in nicely with the detailed internal timber door trims. The floors are a 300 x 300 Nine Yards Everstone tile in charcoal also available in other formats. This bathroom is evidence that pattern is making a big come back in interior design, as also seen on many renovation TV shows. You can incorporate pattern into your hard surfaces whilst still remaining modest and timeless. With this Project Spotlight, I had the pleasure of meeting the project manager and tiler, Tommy from Coastline Bathrooms. Coastline Bathrooms is a complete bathroom, kitchen and laundry renovation company servicing Geelong and the Bellarine Peninsula. They are registered builders who are passionate about green building alternatives. 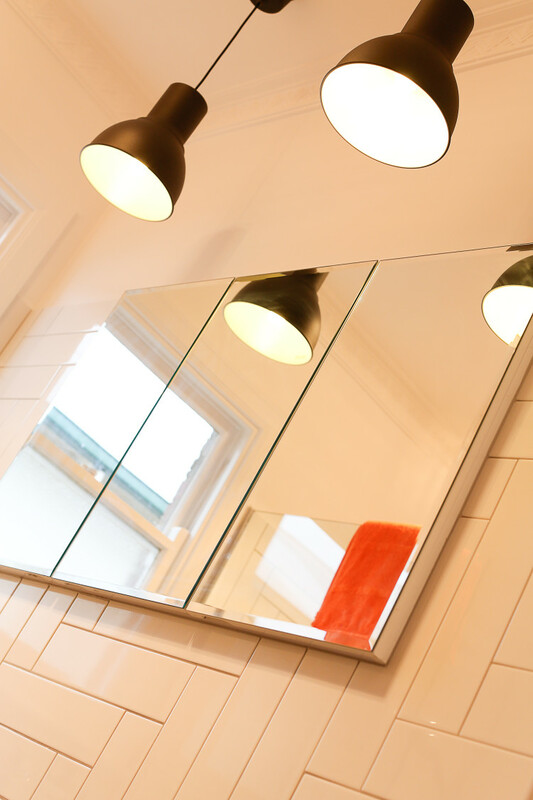 They have a long-standing relationship with a network of suppliers and tradesman, which helps Coastline Bathrooms offer personalized service built on honesty, integrity and high quality workmanship. 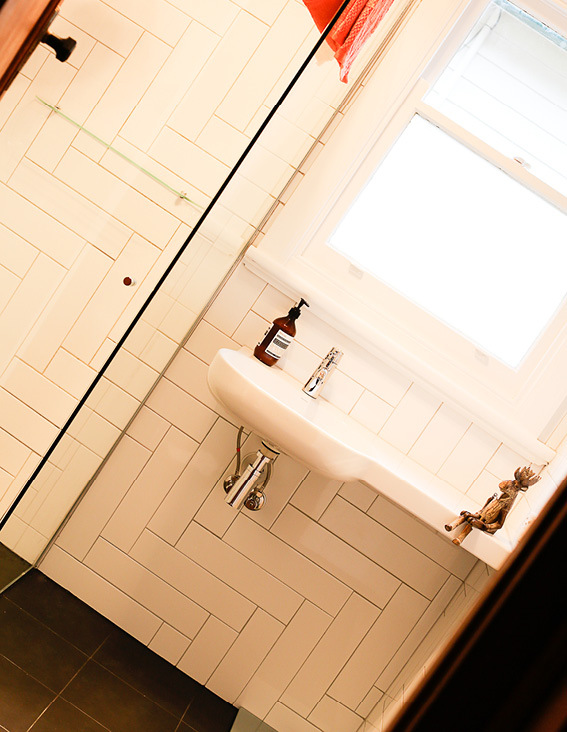 From my visit today, I could see the natural friendly rapport Tommy and his client Jo had which makes for a successful project result, which this bathroom renovation certainly is. For more information on Coastline Bathrooms, please go to www.coastlinebathrooms.com.au or call Tommy on 0420 420 924. Follow TILEjunket on Facebook or visit instore at 2A Gordon Avenue, Geelong West Vic 3218.